I knew that I wanted a nursery that could transition into a toddler's room if possible and I also knew that I didn't want anything super traditional in style. Once we found out it was going to be a girl I swore to myself I wouldn't go overboard with pink - but plenty found its way in anyways! 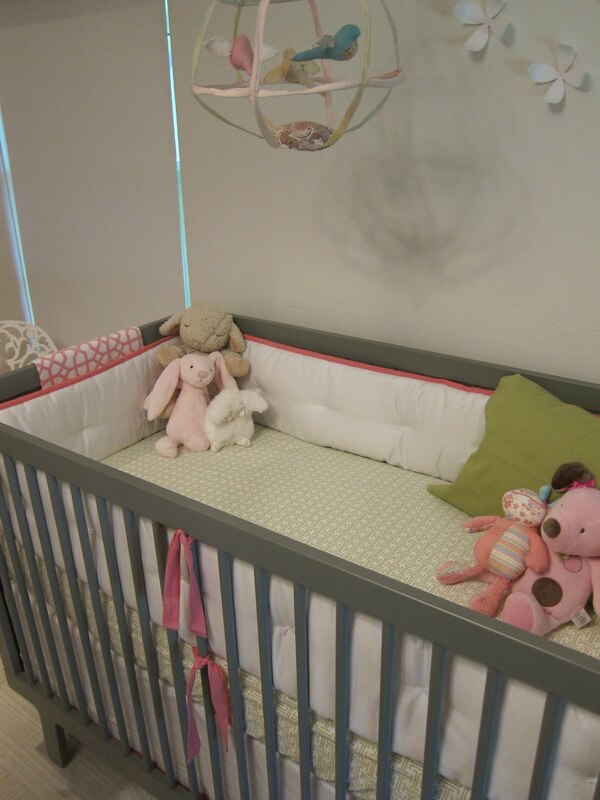 I first decided, boy or girl, that I wanted the Oeuf Sparrow crib in gray. Then I had two fabrics I picked out - one for a boy and one of a girl. Girl it was! So really the Oeuf Sparrow crib and the Duralee fabric used on the DIY pelmet boxes (windows) and the headboard/footboard of the twin bed. I guess the twin bed really came first because it is half of a pair that we inherited - but the pine was a little more traditional than we wanted, so the fabric was an attempt to pull it into the rest of the decor. My favorite aspect is hard to say - but I really love how girly it feels without being smothered in bunting and lace. And the glider! 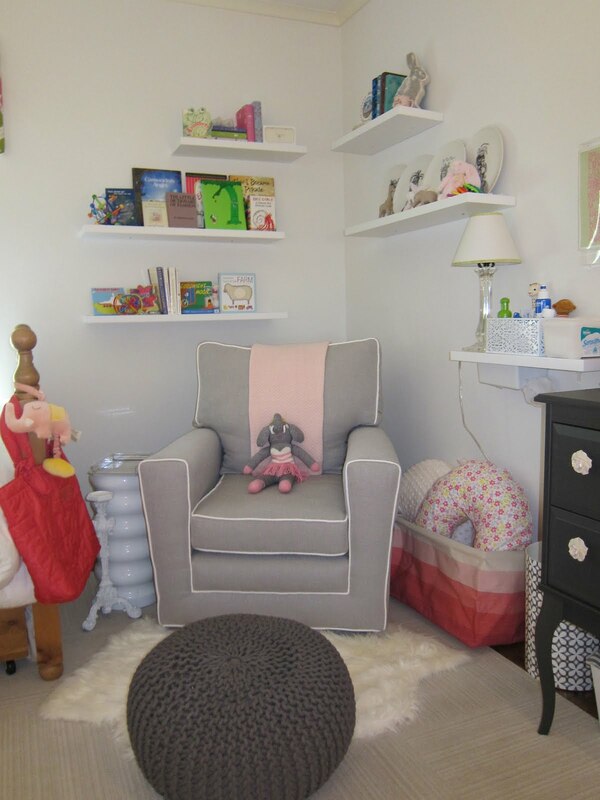 It's very comfortable and gives me a a great vantage point of the room I worked so hard on. I also like all the bunnies that ended up sneaking into the room - it is the year of the Rabbit after all! I'm not sure that I would do anything differently, but we'll see...Baby Eloise is now one week old so we're still finding out what's functional and what needs tweaking. 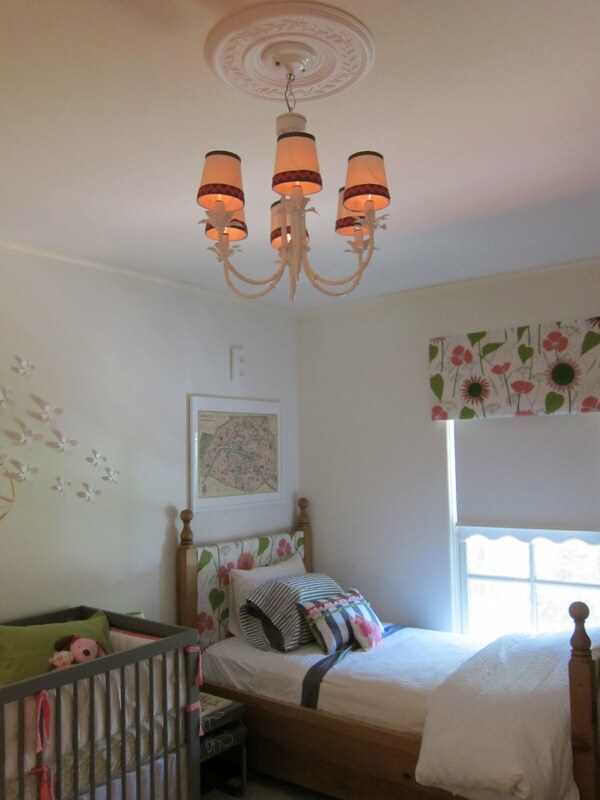 Oh my goodness, I am so in love with your nursery.